Are your ready to enjoy the best taco’s in Kailua? Join us for taco Tuesday from 6 to 9 for $1 beef tacos and $2 pork and fish tacos. Our taco’s are served with salsa and sour cream and topped with lettuce, tomato and Cheese. 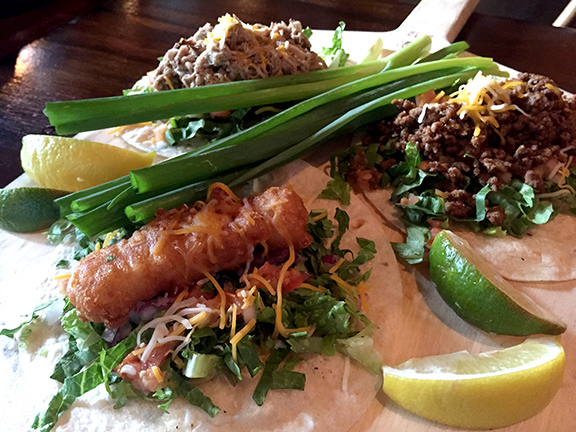 Feed your midweek cravings with a plate full of tacos and your favorite craft beer at the kailua town pub. Fish tacos with Lagunitas IPA (while available).